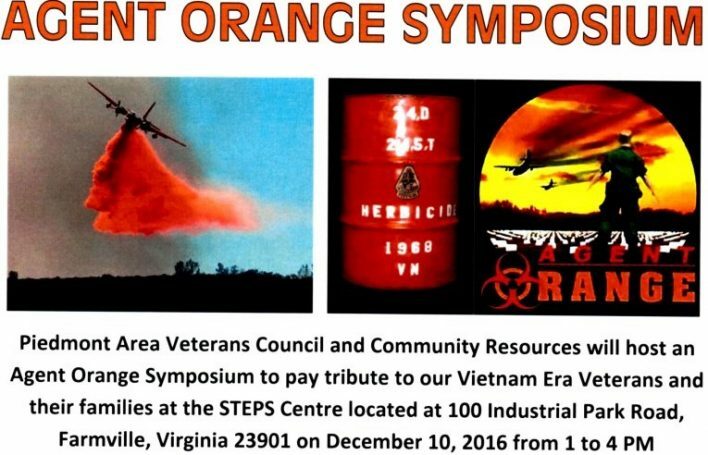 Michael Lund spoke about the Home and Abroad at The Agent Orange Symposium on December 10, 2016. 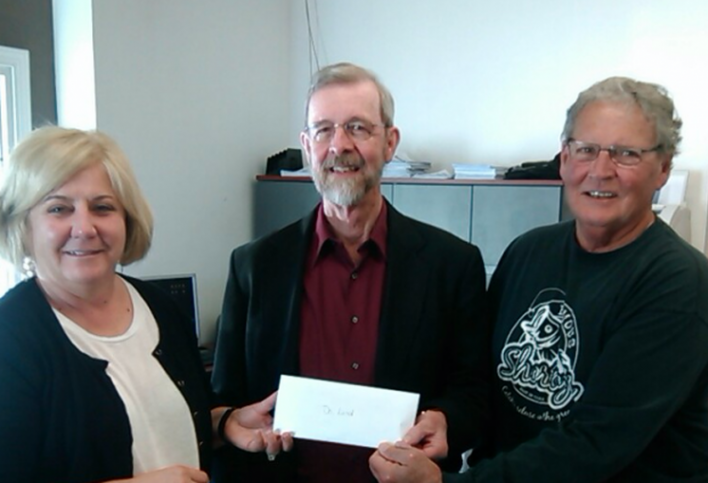 Co-Founder Sarah Dunn and President Shorty Osborn, right, present a $500 check to Dr. Michael Lund to be used for his “Home and Abroad” writing program for veterans and their families. 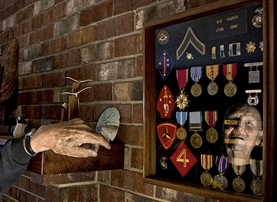 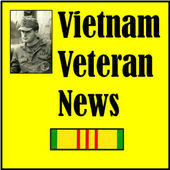 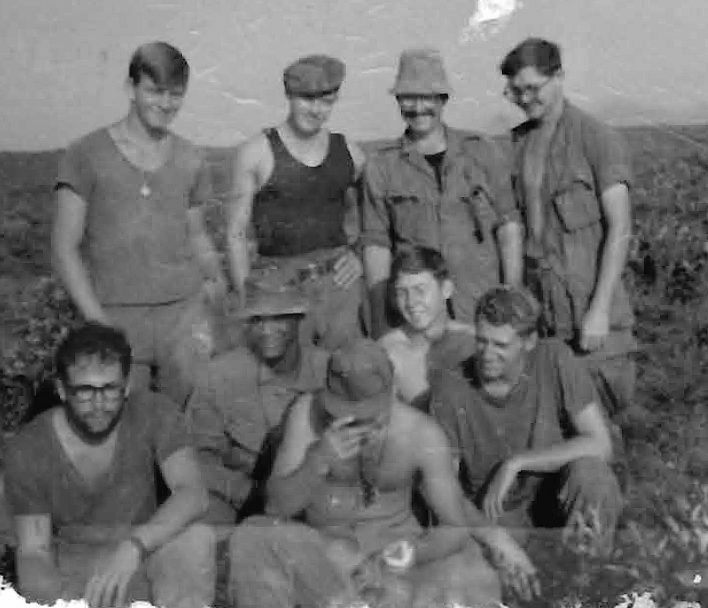 This show from Florida speaker and podcast host Mack Payne of Vietnam Veteran News places the writing program in the context of nationwide awareness of the benefits of writing and community life in Farmville, Virginia. 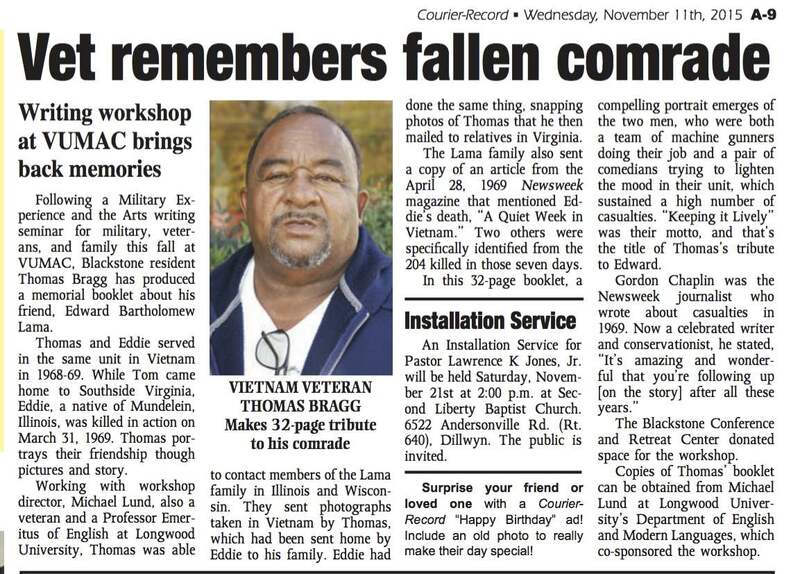 Blackstone resident Thomas Bragg has produced a memorial booklet about his friend, Edward Bartholomew Lama.